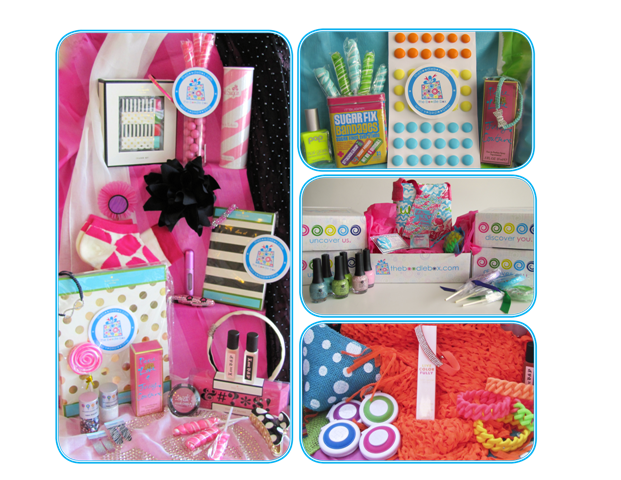 Contact The Boodle Box and we will help you find the perfect gift for the girl in your life! We'd love to hear from you! Contact The Boodle Box and we will help you find the perfect gift for the girl in your life! If you have any questions about our product, please email us at the address below and we will respond to you within 24 hours. The deadline for orders is the 23rd of every month or until quantities are sold out. Your Cart and confirmation email will show which month your subscription will begin. Your box of goodies will ship at the end of every month and arrive within 2-7 days. Your card is charged at the time of the first purchase. We renew subscriptions at the beginning of every month after that. There is free shipping for our 12 month plans and a flat $6.00 shipping fee for 1, 3, or 6 month subscriptions per box. Shipping for products in the Shop will vary. Canada shipping surcharges do apply, and any customs fees are the sole responsibility of our customers. Can I send a Boodle Box as a gift? We hope you never leave us, but you can cancel by emailing admin@theboodlebox.com. Be sure to cancel before the 1st of the month, before we begin our monthly billing cycle and start prepping your next box for shipment. As long as you complete your initial subscription period, there is no cancellation fee. If you cancel early, there is a $19.99 early cancellation fee. You will still receive any boxes that you have already paid for, but your subscription will not be renewed when it expires. The cancellation fee only applies to the initial subscription term. Pre-paid gift subscriptions may not cancel early. One month and gift subscriptions do not auto-renew. For multiple monthly subscriptions (3, 6, & 12 months), your subscription will be renewed after your current term expires. You must cancel by the 1st of each month to avoid being charged for that month’s box. Recurring monthly subscriptions renew on a month-to-month basis at the end of your plan automatically. You are grandfathered in at your subscription price and do not need to do anything to keep your plan going. The $19.99 cancellation fee will not be charged for recurring monthly subscriptions that have completed their initial plan.